First of all, you might be wondering why TECNO chose to skip the number 7, i’m wondering the same too. I’d let you know when i figure that one out. 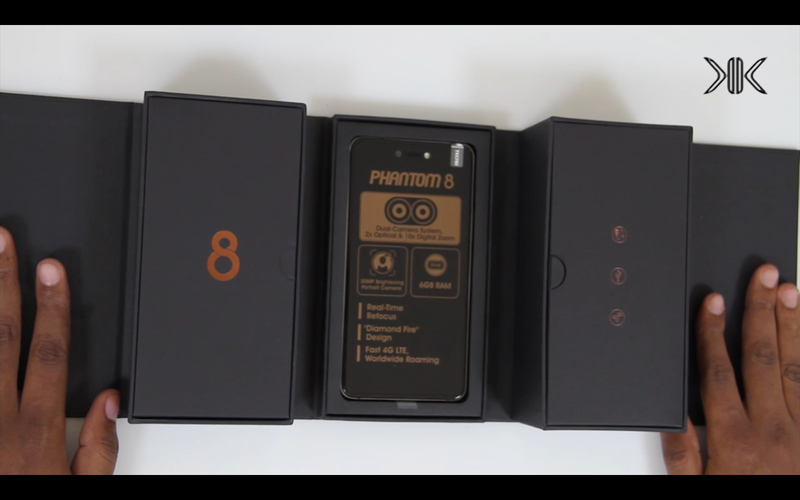 The Phantom 8 ships in this huge black box with the number 8 boldly written on the top and you have some specs on the side. 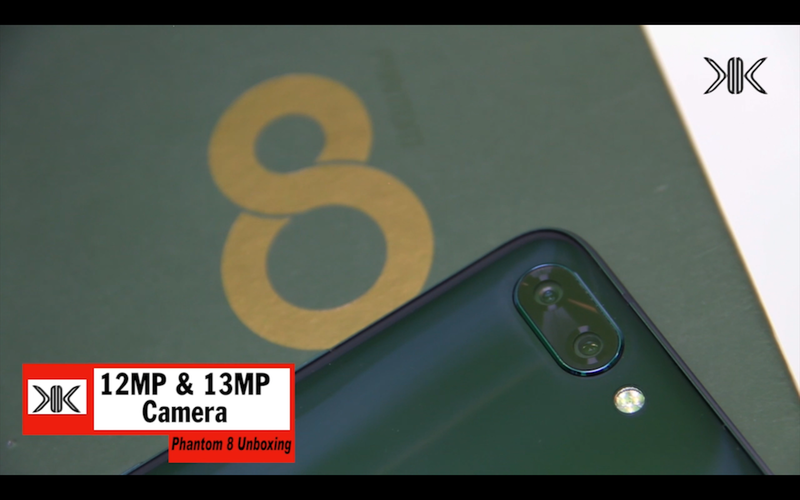 Phantom 8 ships with a 5.7inch 1080P FHD display, 2.6Ghz octacore Helio p25 chipset, a whopping 6GB of RAM and 64GB of storage, 12Megapixel + 13 Megapixel dual back camera with triple flash and a 20MP front facing camera with dual flash, a 3500mAh battery. I would be scrolling the rest of the specs on the screen so let’s get right into it. In the right compartment, you have the USB type C, a fast charger and earphones. 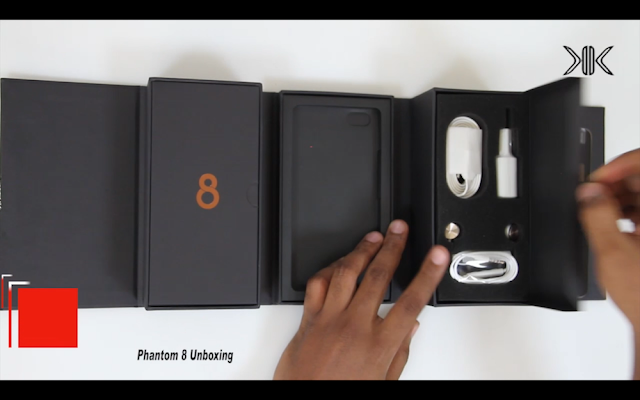 In the left compartment you have the sim ejector tool, a card from BoomPlay Music, a user manual, your warranty card, a screen protector for the back of your phone and a plastic silicone mixed case. 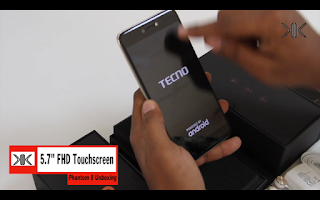 On the front of the device you have a 5.7inch FHD LCD display, 3 non capacitive buttons below, the 20Megapixel camera, speaker and dual flash above. 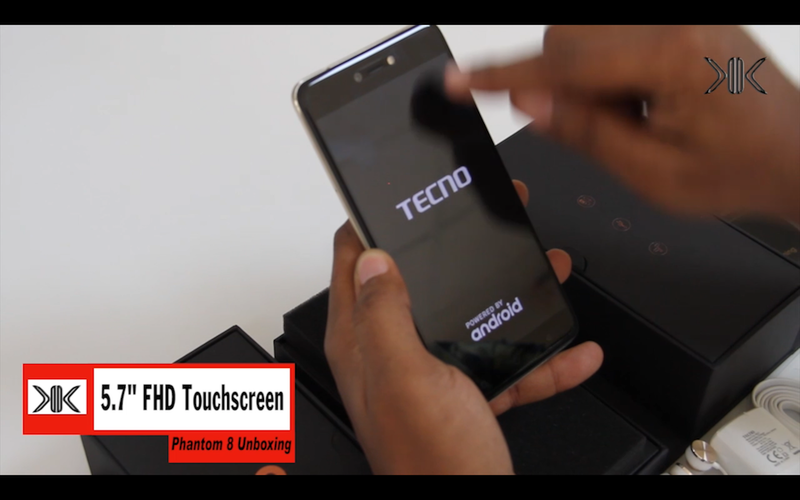 On the back you have the 12 and 13megapixel dual camera with triple-flash, the finger print sensor and some branding. 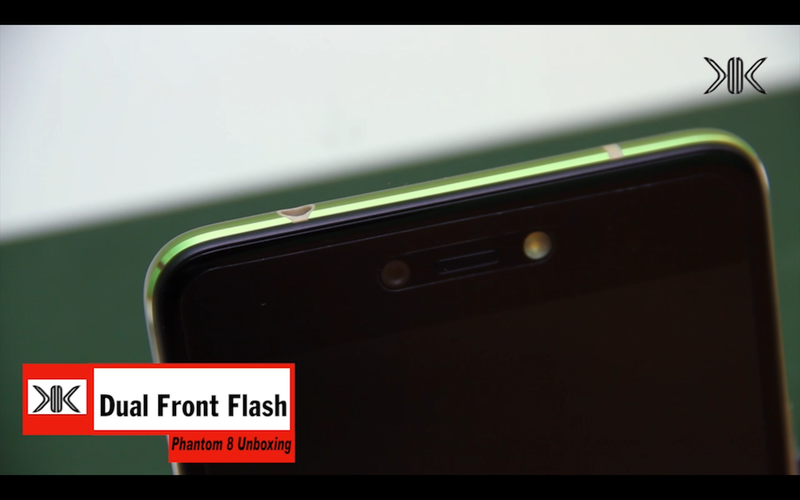 On the top, you have the 3.5mm headphone jack. 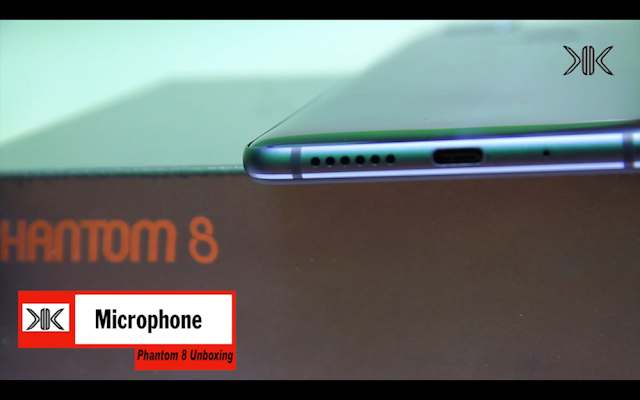 On the Bottom, you have the, microphone, USB type C port and speakers. 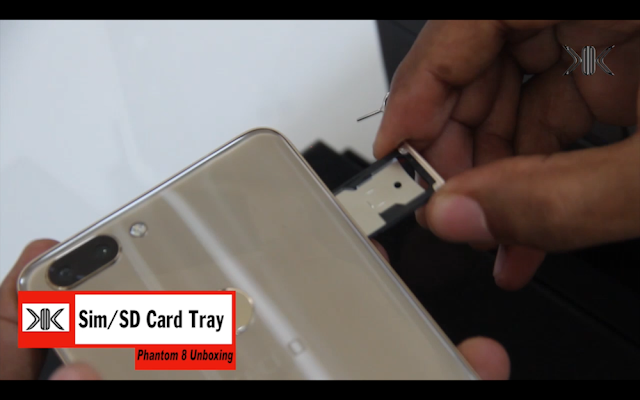 On the left, you have a hybrid dual sim and SD card tray. 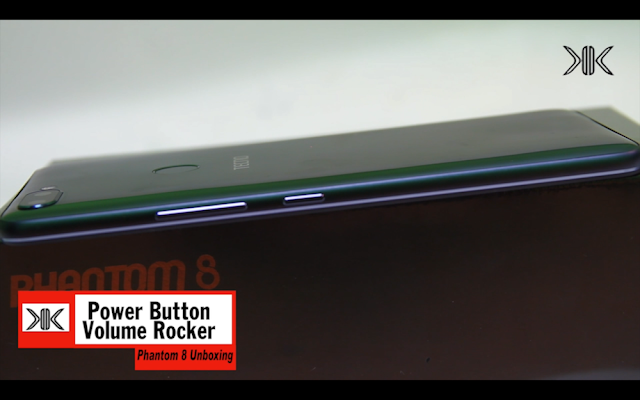 On the right you have the power button and volume rocker keys. I have to say that i’m really really really digging this space blue one. 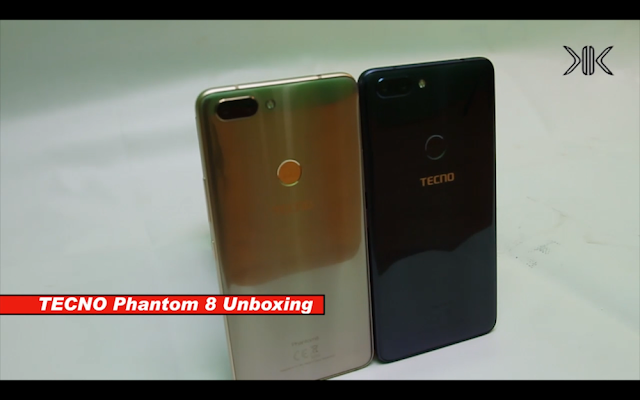 Let me know which one you prefer between the champagne gold and space blue Phantom 8. 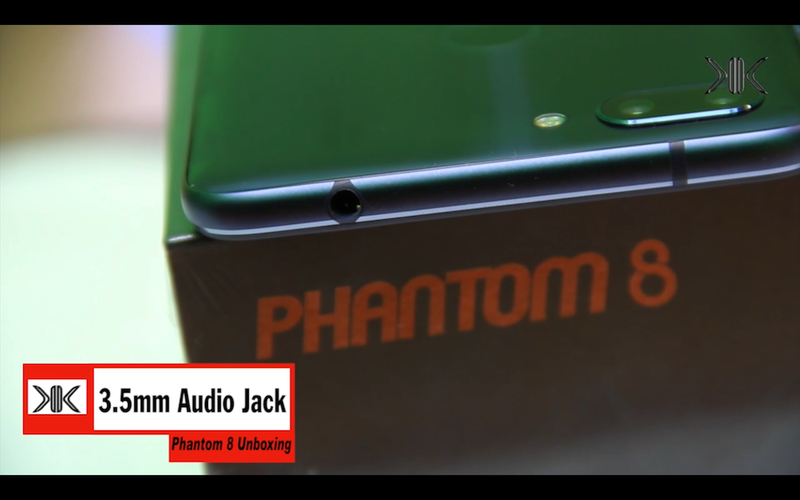 When you go into the settings, you can see that the Phantom 8 is running on Android 7.0 with the HiOS v3.0 UI.